I recently found myself becoming totally nostalgic for some of my childhood puddings, the ones that my grandma cooked better than anyone else! I was meandering down this happy train of thought when I remembered the pineapple upside down cake she used to make so well, which despite not liking pineapple one bit I used to wolf down in no time at all! 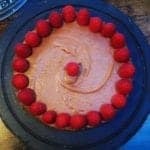 It got me thinking whether there was any way I could make a similar kind of cake as a Slimming World friendly option. That was the start of this Low Syn Caramel Apple Upside Down Cake which, although you might not believe it when you see it, is totally Slimming World friendly! 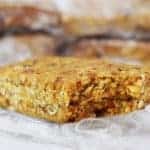 Ever since I started Slimming World, healthy eating has become all about balance and this is a brilliant recipe for bringing balance into your eating! 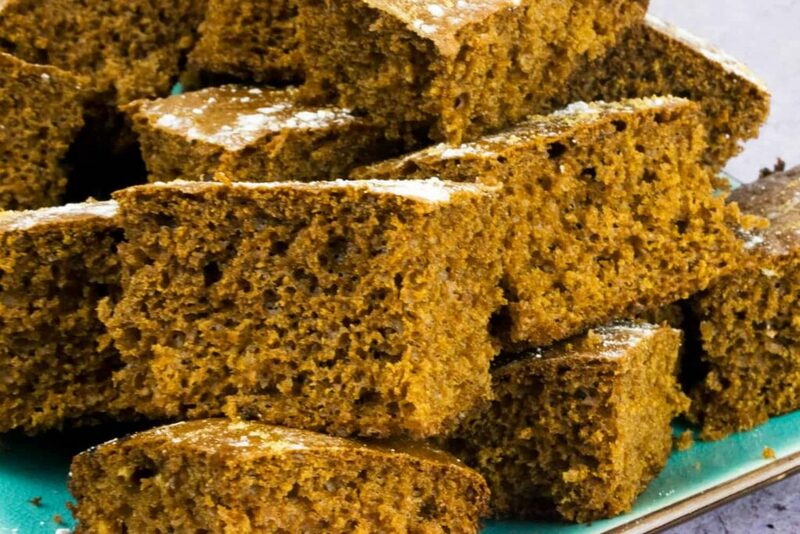 Treating yourself to a sweet, sticky pudding doesn’t have to mean going wildly off plan, as this recipe works out at just 2.5 syns for a slice. 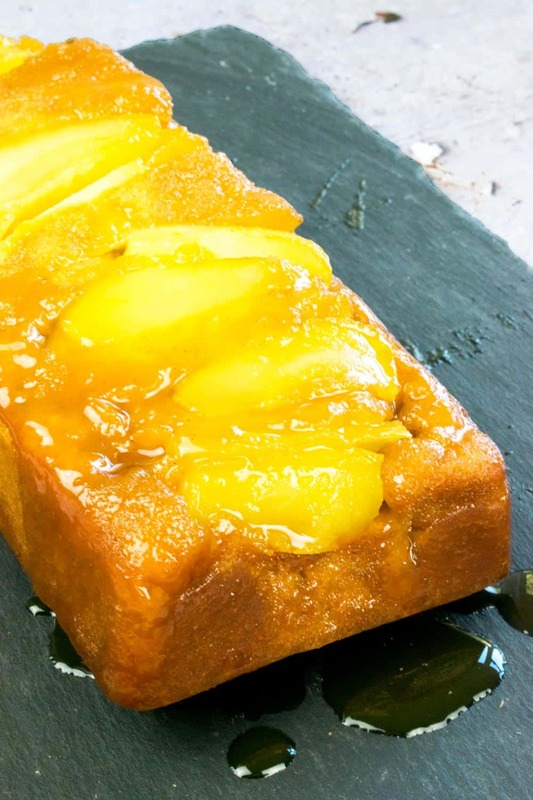 With a scoop of yogurt, or even some low syn ice cream, you’ve got yourself the ultimate Slimming World pudding, and the best thing is that this Low Syn Caramel Apple Upside Down Cake only takes half an hour to make. This works out at 24 syns for the entire cake, which slices into at least 10 good sized pieces. Dividing the total syns by the number of slices that you cut will give you the syn value per slice. In this case, it’s 2.4 syns per slice which is rounded up to 2.5 to help protect your losses – so even if you want to go back for seconds you don’t have to feel worried! There are two things that I want to suggest if you’re going to make this Low Syn Caramel Apple Upside Down Cake. The first is a good, non-stick, loaf tin! I ordered two new loaf tins the other day, a large one and a smaller 1lb one, and used the smaller one for this recipe. 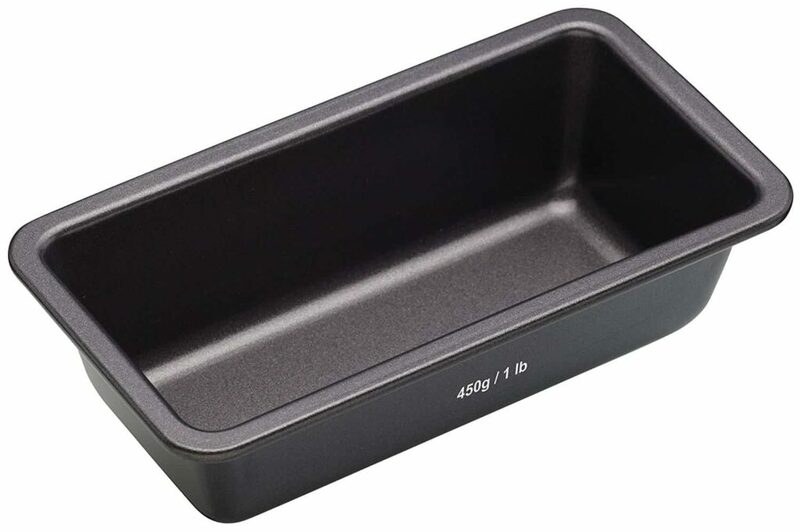 I chose this MasterClass Seamless Non-Stick 1lb Loaf Tin because it didn’t look like it would give me too much trouble when turning out my finished recipe (as so often happens with loaf tins!) and because of its sturdy design. 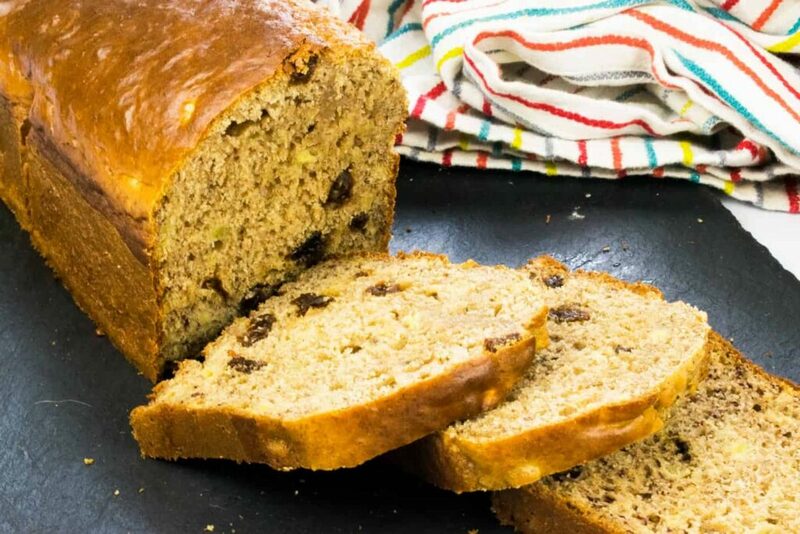 If you are baking for a larger number of people, or plan on doubling up the recipe I suggest getting the 2llb Loaf Tin from MasterClass instead. You can find a huge variety of different loaf tin options on Amazon, but whatever you go for make sure it has a good non-stick coating as that will remove the need for any baking parchment and make your life so much more simple! The second thing I want to suggest is that you use one of the sweeteners made by Sukrin. 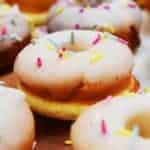 They’re all natural and they have three main types – granulated, brown and icing sugar. For this recipe, you can use either the granulated or the brown sugar version. 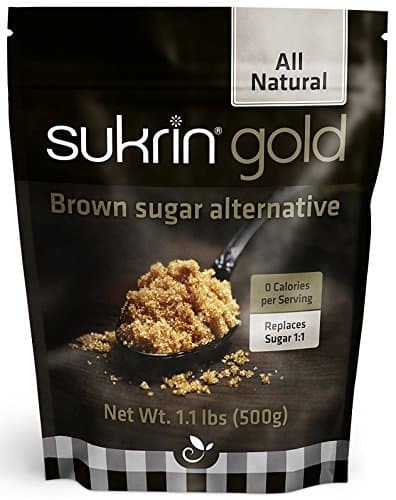 I suggest using Sukrin for a number of reasons, but the main one is that it performs much the same as normal sugar in baking (which can’t be said for many sweeteners) and that it can be substituted 1:1 against normal sugar. This makes it particularly great if you’re adapting recipes to be more healthy! You can shop for Sukrin on their website or on Amazon. 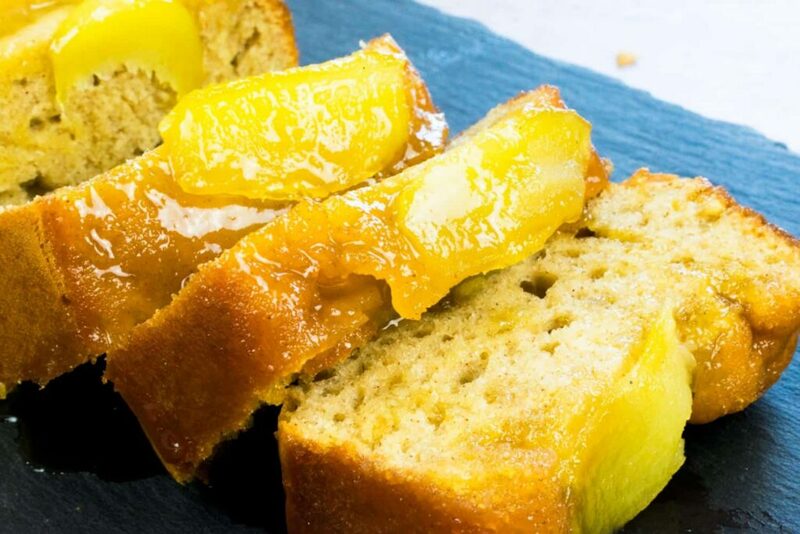 For this Low Syn Caramel Apple Upside Down Cake, you can use another brand of sweetener but I would suggest going for a granulated one (over a powdered one) and if you can find one that is from a more natural source then that’s always advisable. 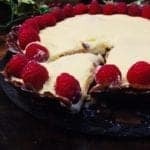 You can find my full archive of Slimming World friendly pudding recipes here. To make this delicious Slimming World friendly pudding you only need a few simple ingredients and half an hour! 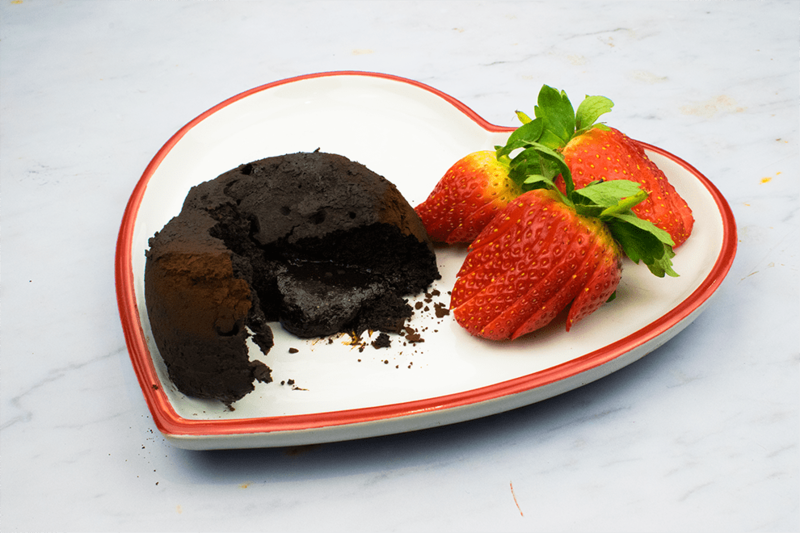 For just 2.5 syns per slice, you can’t get better after a tasty Slimming World dinner! Need inspiration for your main course? Head over and check out my archive of syn free and low syn dinner recipes here. A delicious and healthy Slimming World friendly pudding recipe made with fresh apples and sticky caramel. Peel and cut an apple (cooking or normal) into even slices and line the bottom of your loaf tin with them. Add one tablespoon of Flora Light to a saucepan over a medium heat and add both tablespoons of golden syrup. Bring to the boil and stir until combined. Continue to boil and stir until it turns a caramel colour and begins to thicken up. Remove from the heat and pour over the apples in your loaf tin. Set aside to cool. Whisk together the egg, sweetener and remaining Flora Light. Sift in the flour and add the cinnamon and baking powder. Combine by hand or with a whisk. Pour your cake batter over the apples and caramel. Bake for 20 minutes or until the cake is golden brown and a skewer comes out clean when inserted in the centre of the cake. Allow to cool for 5 minutes and then turn out onto your serving dish. Serve warm for the best results! 2.5 syns per serving when cut into 10 slices. Syn values correct at time of writing. Please do not screenshot this recipe as syn values change all the time and you will end up with the wrong information. Share using the link buttons instead! I am not affiliated with Slimming World or trained by Slimming World, all syn values have been gathered personally and if you are unsure you should always check the value of the ingredients you are using via official resources. Images & text copyright Basement Bakehouse. 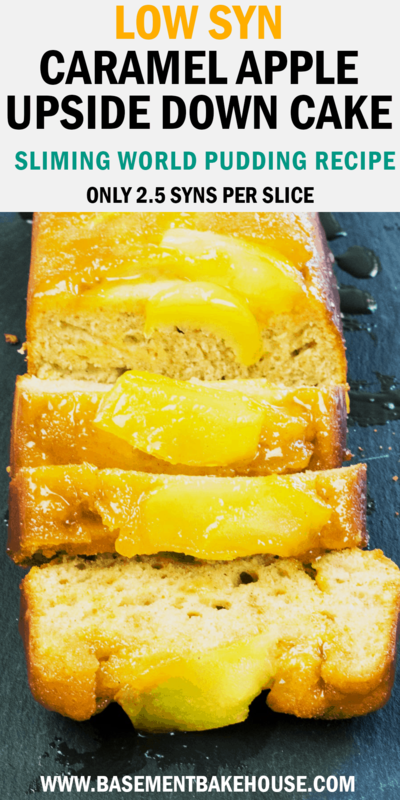 DON’T FORGET TO PIN THIS LOW SYN CARAMEL APPLE UPSIDE DOWN CAKE FOR LATER! It sounds amazing! 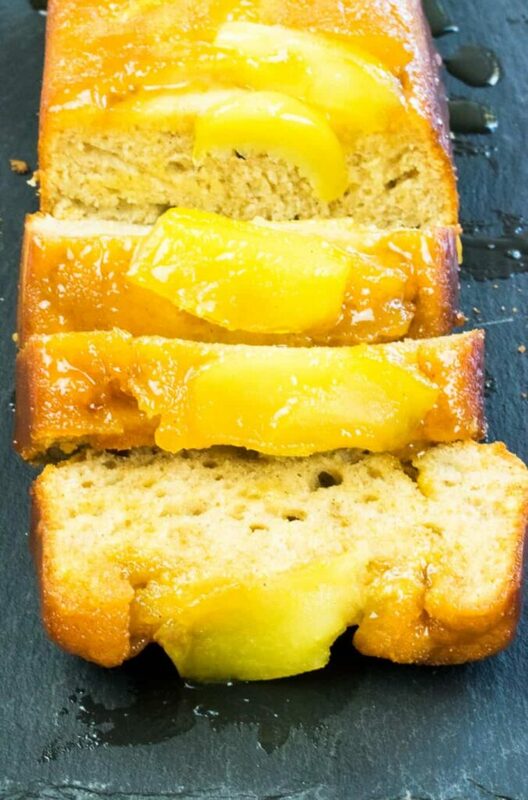 I love caramel upside down cakes and apple always goes brilliantly with anything caramel! 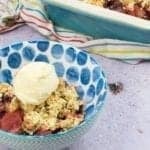 This is one of the best recipes that I've ever seen! This is so delicious and it makes my mouth watering. Looks VERY tasty! 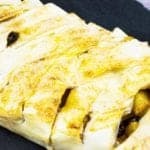 I am all about the apple dessert at the moment and this looks great. A nice low syn option too. Ooo that apple topping looks so sweet and delicious! I'm ready for a slice of this beautiful looking cake with a cup of coffee right now! 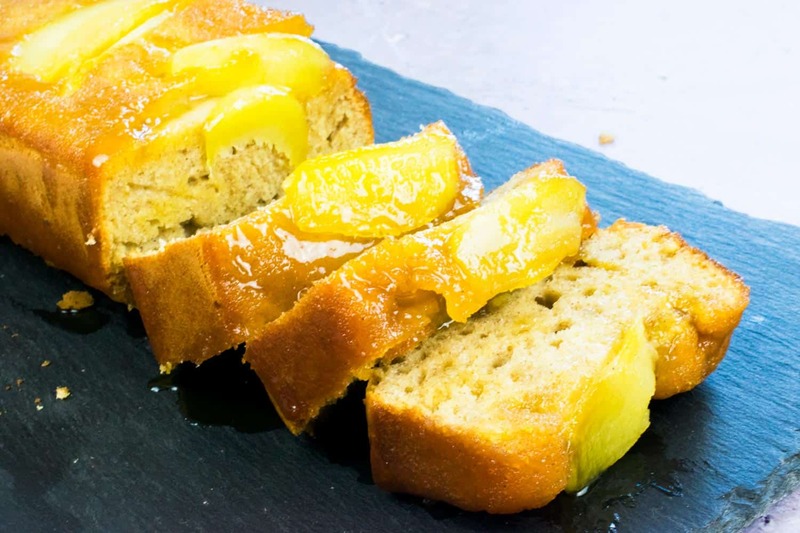 I love upside down cakes a lot and your version with apples and caramel sounds divine! Proper autumnal dessert! 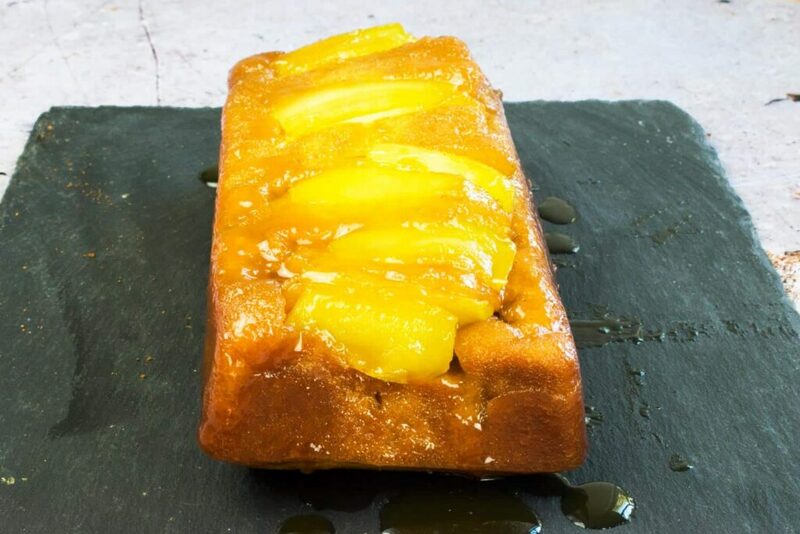 Upside down cakes are amazing, i love trying them with seasonal fruits all year, This looks delicious! I remember pineapple upside down cake from when I was young too!! I have never had an apple one! Yours looks great and I love that it's low syn! Going to pin for later! The Topping looks yummy and delicious. Cant wait to make one for the Family. I am drooling reading about this - it sounds just incredible! The topping looks so delicious. Yum!!! This is a very original cake and it looks so good! I love the caramel glaze and that the whole cake doesn't set you back too much in your healthy eating plan!! I enjoyed reading, cheers. Puddings like this really are like an old favourite, comforting, warming and delicious. Ideal for a sweet treat too, and do-able even when on an eating plan. This is bringing back memories of recipes my mom used to make. I love reinventing old recipes. Nice job with this one.